Toastmasters is a great organisation to join to get lots of speaking practice and increase your confidence. I was in Toastmasters for eight years and it made a huge difference to my life – I became a confident speaker, an effective social networker … and I met my husband there! It makes a huge difference in many people’s lives. I saw shy, withdrawn people become chatty and confident. I saw unremarkable people transformed into inspiring leaders. If you’re thinking of joining Toastmasters to develop your public speaking and social confidence, I do recommend it. Find a club near you using Toastmasters club locator. It overemphasises superficial skills – like body language and vocal variety – while ignoring critical skills – like developing a memorable message for your presentation. Once you have developed basic skills, the Toastmasters official programme does not include the learning experiences which can help you develop further. Despite these flaws, Toastmasters does offer a lot. In this post, I’ll show how to get the most out of Toastmasters – both for new members and for experienced Toastmasters. There are two parts to getting better as a speaker – speaking lots and getting feedback. Toastmasters is great for the first. You can speak at every meeting – whether it’s giving a prepared speech, practicing impromptu speaking, or evaluating another member’s speech (for more information see Toastmasters- How does it work). The beautiful thing about Toastmasters – that you’re all there to improve yourself and help each other – is also one of its flaws. Most Toastmasters are not experts at giving useful feedback. The evaluation of your speech is given within the same meeting. So the evaluator has limited time to consider their remarks and has to do it while the meeting is being conducted. The result is that most evaluations focus on the superficial and easy-to-see aspects of a speech. They ignore the more important, but difficult to analyse, aspects of the speech. Toastmasters evaluations overemphasise vocal variety, body language and ums and ahs. Focusing on these aspects of speechmaking leads to people performing – rather than communicating. That’s what happened to me. When I stood up to speak I switched into performance mode. After I left Toastmasters I needed intensive coaching to let go of performing and instead connect with the audience as individual human beings. Many evaluations are also far too kind. It takes expertise and courage to give negative personal feedback in a compassionate way. So many Toastmasters avoid it. Toastmasters evaluations are generally positive, supportive and encouraging – it’s one of the great things about Toastmasters which makes it a safe place to learn public speaking. But sometimes we need feedback on the things we don’t do so well. And if you don’t get it, you won’t improve. That’s why there are people who’ve been in Toastmasters for years and are still average speakers. The content of your speech – was it tailored to the needs of the audience, did it provide a take home message, what were the benefits of the speech to the audience, did the structure flow, did you back up your points with evidence? Your connection with the audience – did you come across as genuinely communicating with people in the audience, did it feel like you were having a conversation with individuals? This is slide 2 out of 30 slides. It’s a perfect recipe for death by PowerPoint. Get your inspiration for Powerpoint slides from books like Presentation Zen (blog: PresentationZen) and Slideology (blog: Slideology). Other excellent PowerPoint design blogs are Dave Paradi’s Powerpoint Blog, Slides that Stick from Jan Schultink and PowerPoint Ninja from Brent Dykes. My most useful learning in Toastmasters came when Tony and I decided to present a session called “MindPower in Speechmaking” at the District 72 (New Zealand) Conference. We started preparing months in advance and spent every spare moment working on the session – refining scripts, developing participative exercises, and rehearsing. We delivered the session at several clubs before the Conference, videotaped ourselves and watched it back. I had never put so much work into one presentation. I learnt a huge amount by working so intensively on one speech. You can give yourself this learning opportunity too. But it’s not built into the Toastmasters programme – you have to take the initiative. Here are some things you can do to get the most out of Toastmasters. Watching yourself present is a powerful way of getting feedback on how you come across. Although you can video yourself at home giving a speech – this gives you limited information. Take your video camera to your Toastmasters meeting and ask someone to video you. That way you can see what you’re like with a real audience. One of the drawbacks of Toastmasters is that you’re generally presenting to the same audience. That means you don’t get any practice at tailoring your speech to a different audience – a core skill of presenting. Decide the type of audience you want to tailor your speech to. Then let your club know what role they’re playing and ask for feedback on the tailoring of the speech to that audience. Most of the time in Toastmasters you plan a speech, you give it – and then move onto the next one. If you’re always giving a speech for the first time, it’s challenging to be 100% focused on simply communicating your message to the audience. Once you’ve given the speech several times you can get out of your head and be with the audience. Repeating a speech also enables you to fine-tune the content and monitor the impact of the changes you make. It’s an excellent learning opportunity. After a while, the Toastmasters club you belong to becomes your comfort zone. You know everyone there, they’re all friendly and encouraging. You know they’ll be warm and supportive even when things go wrong. Step out of that comfort zone. Stretch yourself. Contact other clubs and ask to speak at one of their meetings. Competitions have two great advantages – you get to repeat a speech (point no 3) and you get to give it to different, and often larger, audiences (point no 4). So enter competitions to easily get those opportunities. One of the drawbacks of Toastmasters is that all the speeches are relatively short. Much shorter than in the business world. There’s a big difference between delivering a seven minute speech and a 40 minute presentation. With a seven minute speech you can rehearse five times, that’s only 35 minutes – with a 40 minute presentation that would be three hours 20 minutes. On the other hand a 40 minute presentation gives you the time to do things that can’t easily fit into a seven minute speech eg: incorporating audience participation. So offer to give an educational session – the club members will benefit and you’ll gain from the experience of giving a longer presentation. Don’t use the educational sessions prepared by Toastmasters. They weren’t any good when I was in Toastmasters and they haven’t improved. Prepare your own educational session based on your own experience. In summary, Toastmasters is a great place to develop public speaking confidence – and by grabbing some of the ideas here you can make the most of your membership. You make some very valid comments, however I would not go as far as to say ignore your evaluation. Remember that the evaluation is “personal feedback from the evaluator.” The immediate feedback is also core to the Toastmasters programme – feedback while the speech is fresh in everybody’s mind. It could be more effective to say “listen to your evaluation and take from it what you can”. IE: Decide what you agree with, and what you don’t agree with, but don’t assume that the evaluator is automatically right. I have received some very useful feedback from evaluations, and also very useless feedback. Thanks Craig for your comments – and yes, of course, sometimes the feedback is going to be useful. But there is definitely a drawback in the evaluation being immediate – and that is, that it is not always considered – as it could be if it was given say, the next day on a one-to-one basis. But this is something that you organise for yourself. There’s also a danger in taking from your evaluation just what you agree with. Sometimes, a person giving you honest feedback will tell you stuff that you don’t want to hear and may not immediately agree with – nevertheless it may be valid. Nice posting. Very thougthful. I agree with your comments about PowerPoint – I wrote the book on using a the Pow’Rful Process to keep “Dodging the Bullet Points”. TM is a communication organization and we need to set the example on the “Visual Revolution”. I respectfully disagree that the TM program has the two flaws you mention. I think the TM communication is great for beginning speakers, and once a speaker is confident in front of TM club, then the speaker should leave the safe environment of the club and go outside the TM club to speak for Rotary clubs, and so on. The TM club is training wheels for a new speaker and a labatory for experienced speakers to try new material. You did not mention the hidden gems of the TM program. The Leadership track and the sales training. I encourage everyone to become a club officer and an Area Governor for at least one term. This is where you learn real-world leadership skills in a safe environment, from a proven manual. And if you want to improve your sales skills, set a goal to double your club’s membership. Your suggestion to present educational sessions is spot on. We need more Toastmasters like yourself to question the program, suggest improvements and enthusiastically encourage other Toastmasters – keep up the good work. Hi Wayne – thank you for your thoughtful comments – I like your analogy of a TM club being training wheels for new speakers and a laboratory for experienced speakers. Thanks for the very helpful post! I’m been looking to join the local Toastmasters. After reading a lot of “kool-aid” positives, I’m glad to read a more realistic and critical perspective on the group. These tips will definitely help me get the most out of my Toastmasters experience. Can’t wait to start! Although I disagree with your points in evaluation. There are good and not-so-good evaluators. The evaluator is just there to give personal impressions on the speaker. The approach to giving and taking evaluations is simply to be honest. Take the good and the bad and ignore the misses. I have always appreciated evaluations that are right on target, whether it’s good or bad. Ultimately, it is the speaker who evaluates himself or herself. Besides, there is always a General Evaluator to tackle the misses made by the evaluator. One thing you missed out are the opportunities for leadership in Toastmasters. I was part of a struggling club and when it was my turn to lead. I turned around the club and it has become a stable club ever since. I took on a second club to see if I could do it again. As CJ Guest put it, Toastmasters is a laboratory. I experimented on marketing, on getting new members, and not just on presentations. Very few Toastmasters have heard of Presentation Zen and ever since a Toastmaster gifted me with a copy, I bring my projector to almost every meeting whether it is for my own use or others’ use. I have also shifted my club to a bilingual club. Having traveled around the region and I see the ability to deliver in Chinese Mandarin would be a big plus. Yes, innovating and blazing the way for others is really a lot of fun. I enjoyed this post. Thank you very much for writing it. I joined Toastmasters in March 2002 and up to February of this year I was a very active member. I am still a member but have decided that the time has come to be less active. I have been club president, Area Governor, Division Governor and helped organize a District conference. I can wholeheartedly attest to the benefits of the Toastmasters program. I support your comments on Evaluations; my experience is that evaluations are very subjective and should be taken with some equanimity. Being able to receive feedback is as important as giving feedback. There is a tendency to take Toastmasters too seriously almost to a religious level. I have always taken the view that Toastmasters is a safe-lab environment where you can discover or develop skills in order to become a more effective communicator in the ”real” world. Olivia: good points about the value of joining and participating in Toastmasters. One thing that very few people seem to realize is that Toastmasters really operates on three different levels. The first is why we all join: Toastmasters can help you to learn to speak effectively in public. The next is that Toastmaster can teach you how to run a meeting. That Toastmaster who is running a meeting needs to be a jack of all trades, think on his / her feet and stay on time. If only all business meetings were run that way. Finally, each club has officers and this can server as a great management training ground. If you screw up you won’t be fired. The same can’t be said about your real world job. Toastmasters – what’s not to love? Thanks for your well-written advices. 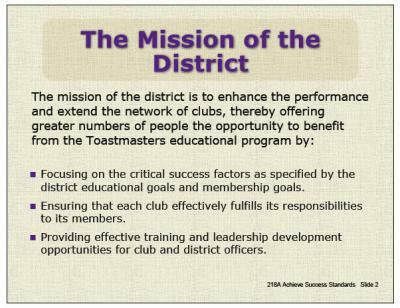 I joined the Toastmaster for about 5 months now. Your advices will definitely help me to get the most out of Toastmaster, Enjoying reading your blog which is very informative and useful for me to laern to become a better speaker. Go well in your Toastmasters journey and great to hear that you’re learning from the blog. I’ve been to one Toastmasters meeting years ago, and I’ve looked at TM contest winners on Youtube. My main reservation has been that “stagey” quality you mention. My weakness, I think, is that is that my style is too casual, but I don’t want to go so far toward the other extreme that it looks and feels like I’m delivering a prepared monologue. It also looks like the TM training is so strict, prescriptive, and regimented that everyone looks alike. There is a model style that everyone emulates, and everyone is deemed successful according to the degree that they emulate that same style. I still think it is a great organization, and if there were a local chapter I’d ecplore it some more. I just didn’t see anything to suggest it would provide some of what I need to take my presentation skills to the next level. If you’re aware of some of the traps the Toastmasters eg: that you might end up sounding and looking like other Toastmaster speakers, you’re very unlikely to get caught in the trap. You can view Toastmasters as “hire an audience” and for that it’s fantastic. Olivia, this is most fair, realistic and perceptive review of Toastmasters I have ever read. Like any organization, Toastmasters isn’t perfect. But you’ve shown people how to make Toastmasters more perfect for them. Olivia, thank you for another insightful article. Thank you and I also enjoyed your article. Thanks for posting the link here. Do you have any tips for Toastmasters when they’re performing the various Toastmasters meeting roles — Evaluator, General Evaluator, Grammarian, Toastmaster and Topics Master? What did you find were the best ways to do these roles? Maybe that’s a whole ‘nother article if you have the time. Thanks! 1. As an evaluator go deeper than the superficial aspects of body language and vocal variety. Was the content persuasive, was it backed up with evidence? etc. 2. I found the Grammarian role un-useful (there should be a better word, but I can’t think of it). Counting someone’s um’s does not help them get rid of them! 1. Just like speakers, evaluators can also make the mistake of going wide rather than deep: they give you an overview evaluation rather than a detailed evaluation. For example, they’ll say, “Your body language and vocal variety was good. But you could do a little more of each.” Well-intentioned advice, but not specific enough to be helpful. 2. On overcoming “um’s” and other verbal bridges: Once I saw myself on video using the word “so” a lot, I planned better transitions for my next presentation. But I wouldn’t have been aware of it if I hadn’t seen it on video. Thanks for sharing some thoughtful information. However, regarding the Evaluation on the meeting, I wouldn’t go so far saying that an “immediate feedback is not good enough”! I believe that is the great challenge for the evaluator/communicator, and once you practise being an evaluator over and over again, you can to develop a very sharp, structured and critical thinking in a short timeframe. I personally have seen people giving excellent feedbacks “on spot” after just one minute given to prepare it. And yes, if you want a more detailed evaluation on your speech/project you can always ask. Thanks for your comment and sorry for my delay in replying (I’ve been travelling overseas). I just checked back in my post and I don’t think that I said “immediate feedback is not good enough.” I said that the limited time frame for giving an evaluation could cause evaluations to focus on superficial aspects of the speech. I totally agree that some Toastmasters are superb evaluators and are able to give useful, constructive feedback on the spot. Olivia – Awesome insight into TM. I am a struggling “CC” and I especially liked your comments about the evaluator. It shouldn’t be just another speaking role in the meeting. The canned “good volume, good vocal variety” content-doesn’t-matter evaluation is very depressing to me but I feel I have to put up with it to support the evaluator. Communication in TM terms is speaking. In human relations, communication requires content and that feelings be expressed understood and validated. Evaluation is more art than a skill. Thanks Olivia — it’s helpful that you cover both the strengths and weaknesses of Toastmasters. Here’s a video showing what Toastmasters meetings are like, which people might find useful in making up their mind about whether to try Toastmasters themselves: http://remotepossibilities.wordpress.com/2012/07/28/toastmasters-see-what-its-like-right-now/ (plus my own first impressions about the video, and membership). It’s interesting how this article continues to get passed around more than four years after it was written. That indicates that it remains relevant. I’ve been a Toastmaster since 1996, and through the years I have experienced almost everything you described in your posting. Indeed, Toastmasters can be different things for different people. I believe that the best way to make the most out of your Toastmasters experience is to decide what (and how much) you want to gain out of it, and work towards achieving your goals. For years, I had deliberately stayed away from the leadership track beyond the club and area level. I didn’t want to take on a role that I couldn’t deliver on. Let’s face it. I was afraid to fail. Instead, I helped the district officers in any way that I could. Conducting training sessions at district events (and beyond, such as the international conference). Holding demo meetings, open houses, and other events. Manning Toastmasters booths at various fairs and expos. You name it, I helped with it. But I always stopped short of taking that extra step of being the leader with the title and the responsibility. This year, I finally decided to conquer my fear of taking on a leadership role. I’m trying for Lt. Governor Marketing. Wish me luck! I appreciate your views on Toastmasters. I too have benefited from the program. While the system isn’t perfect, I still think it’s the best thing out there. The added core competencies from the new Pathways program is making it even more valuable. As a point, when you said , “It overemphasizes superficial skills – like body language and vocal variety,” I’m not sure I totally agree. I think often it’s not as much about the Toastmasters Program but rather the evaluators who often ignore the speech objectives. All too often they go for the low-hanging fruit – i.e. body language and vocal variety. Many hear that and do the same when it’s time for them to evaluate as they cannot think of anything else. It may also be because the average stay in T M is less than 18 months, so many people would be working on their C.C, or maybe now Pathways Level 1 so they’re all working on the entry level skills. With that said, some speakers find a project manual to “fit’ their speech for credit and they too ignore the objectives, they don’t bring their manuals or the evaluator is assigned at the last minute – which then leads to the same ‘ol, same ‘ol evals. I think that if a speaker truly take the speech objectives to heart and evaluators worked on enhancing their evaluation skills I think that both would truly benefit and add value to each other. As for messaging etc., YES, very important. I think that will come once they’ve built their skills up.